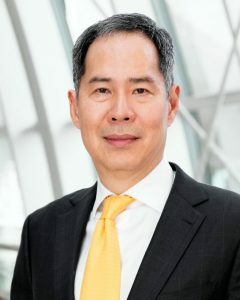 With 100 million users, Russia has the seventh largest internet user base globally, and members of the emerging markets team went to Russia during December 2017 to take a deeper look at the internet ecosystem and get an inside view on prospects for growth in the coming years – Geoffrey Wong, UBS Head of Emerging Markets and Asian Equities. During our trip to take a closer look at the Russian internet industry we visited major listed internet and telecoms companies, plus several non-listed companies involved in e-commerce, online marketplaces, and e-hailing services, as well as advertising agencies, and private equity companies with large stakes in fast-growing internet firms. During our meetings we learned that digital advertising currently accounts for around 40% of total advertising revenues and is poised to become the dominant source of advertising spending in the future. Recent data from the Association of Communications Agencies of Russia show that digital advertising spending is growing at a much faster rate than traditional mediums, growing 23% y-o-y in the first nine months of 2017, compared with 13% for TV advertising and 2% for radio advertising, and a 10% y-o-y decline for print advertising1. Our interviewees told us that as digital advertising expands its dominance, social media advertising will take a larger share of online ads than search advertising. By 2030, digital ads are expected to represent approximately two-thirds of Russia’s total ad market, implying a CAGR of 12%, according to estimates by Goldman Sachs. E-commerce accounts for approximately 4% of total retail sales in Russia, meaning it is comparatively under-penetrated when measured against other emerging markets like China (c.17%), and 9%, on average globally according to Goldman Sachs, and our interviewees expect healthy growth in the coming years. Indeed, e-commerce or online sales in Russia are growing at a healthy rate, our interviewees estimated that growth was around 20% y-o-y in 2017 and at a faster rate than overall retail sales, which have been recovering recently as economic momentum has gathered pace. That said, we learned that growth for domestic companies could be challenging due to a lack of sufficient logistics infrastructure, as well as competition from Chinese peers. Poor infrastructure, including a lack of public transport, plus the high cost of car ownership, means Russia has robust structural underpinnings for growth of its e-hailing market. Yandex Taxi and Uber, now merged, cover approximately 75 million to 80 million Russian users – c. 55% of the population – yet only 8% of taxi rides are currently bought online, according to Goldman Sachs. During our interviews, we learned that profitability should improve, particularly as companies are expected to reduce the rate of subsidies for passenger rides. Tencent’s success in developing its Wechat superapp is prompting many Russian internet companies to build an app with a similar online ecosystem of their own. Such an offering would include payments, games, taxis, food delivery, messenger services etc, to both increase engagement and their potential to monetize their user base. While Russia’s market is not hostile to players from the US or China, during our visits and interviews we felt that foreign companies won’t be allowed to dominate the market. In fact, Russia is one of the few markets where Google and Facebook don’t dominate search and social media – even though Facebook is present in Russia, our research shows its user base is only 1% of the total user base, while Google’s revenues are less than 1% of its total. Our interviewees told us that consolidation and less competition in the industry is likely. Companies with large offline user bases, such as MTS and potentially even Sberbank, want to take a share of the digital business. Similarly, online players realize that a successful e-commerce model is probably a mix of online and offline. The shift toward online advertising, strong potential for e-commerce, low costs of mobile internet usage, structural underpinnings for e-hailing, and the limited presence of foreign competitors, means that the growth prospects for the Russian internet market look good. The shift toward online advertising, strong potential for e-commerce, low costs of mobile internet usage (USD 1.5 for 1GB, vs. USD 8.8 in the US), structural underpinnings for e-hailing, and an internet ecosystem which favors local players, means that the growth prospects for the Russian internet market look good. The team will continue to watch closely Russia’s dominant internet players as they expand their e-commerce offerings to see how their respective strategies pan out and whether they are able to capture this growth opportunity. For marketing and information purposes by UBS. For professional clients / qualified / institutional investors only. This document does not replace portfolio and fund-specific materials. Commentary is at a macro or strategy level and is not with reference to any registered or other mutual fund. The views expressed are a general guide to the views of UBS Asset Management as of February 2018. The information contained herein should not be considered a recommendation to purchase or sell securities or any particular strategy or fund. Commentary is at a macro level and is not with reference to any investment strategy, product or fund offered by UBS Asset Management. The information contained herein does not constitute investment research, has not been prepared in line with the requirements of any jurisdiction designed to promote the independence of investment research and is not subject to any prohibition on dealing ahead of the dissemination of investment research. The information and opinions contained in this document have been compiled or arrived at based upon information obtained from sources believed to be reliable and in good faith. All such information and opinions are subject to change without notice. Care has been taken to ensure its accuracy but no responsibility is accepted for any errors or omissions herein. A number of the comments in this document are based on current expectations and are considered “forward-looking statements.” Actual future results, however, may prove to be different from expectations. The opinions expressed are a reflection of UBS Asset Management’s best judgment at the time this document was compiled, and any obligation to update or alter forward-looking statements as a result of new information, future events or otherwise is disclaimed. Furthermore, these views are not intended to predict or guarantee the future performance of any individual security, asset class or market generally, nor are they intended to predict the future performance of any UBS Asset Management account, portfolio or fund. The information and opinions contained in this document have been compiled or arrived at based upon information obtained from sources believed to be reliable and in good faith, but is not guaranteed as being accurate, nor is it a complete statement or summary of the securities, markets or developments referred to in the document. UBS AG and / or other members of the UBS Group may have a position in and may make a purchase and / or sale of any of the securities or other financial instru-ments mentioned in this document. Before investing in a product please read the latest prospectus carefully and thoroughly. Units of UBS funds mentioned herein may not be eligible for sale in all jurisdictions or to certain categories of investors and may not be offered, sold or delivered in the United States. The information mentioned herein is not intended to be construed as a solicitation or an offer to buy or sell any securities or related financial instruments. Past performance is not a reliable indicator of future results. The performance shown does not take account of any commissions and costs charged when subscribing to and redeeming units. Commissions and costs have a negative impact on performance. If the currency of a financial product or financial service is different from your reference currency, the return can increase or decrease as a result of currency fluctuations. This information pays no regard to the specific or future investment objectives, financial or tax situation or particular needs of any specific recipient. The details and opinions contained in this document are provided by UBS without any guarantee or warranty and are for the recipient’s personal use and information purposes only. This document may not be repro-duced, redistributed or republished for any purpose without the written permission of UBS AG. This document contains statements that constitute “forward- looking statements”, including, but not limited to, statements relating to our future business development. While these forward- looking statements represent our judgments and future expectations concerning the development of our business, a number of risks, uncertainties and other important factors could cause actual developments and results to differ materially from our expectations. Issued in the UK by UBS Asset Management (UK) Ltd. Authorised and regulated by the Financial Conduct Authority. This document and its contents have not been reviewed by, delivered to or registered with any regulatory or other relevant authority in APAC. This document is for informational purposes and should not be construed as an offer or invitation to the public, direct or indirect, to buy or sell securities. This document is intended for limited distribution and only to the extent permitted under applicable laws in your jurisdiction. No representations are made with respect to the eligibility of any recipients of this document to acquire interests in securities under the laws of your jurisdiction. Using, copying, redistributing or republishing any part of this document without prior written permission from UBS Asset Management is prohibited. Any statements made regarding investment performance objectives, risk and/or return targets shall not constitute a representation or warranty that such objectives or expectations will be achieved or risks are fully disclosed. The information and opinions contained in this document is based upon information obtained from sources believed to be reliable and in good faith but no responsibility is accepted for any misrepresentation, errors or omissions. All such information and opinions are subject to change without notice. A number of comments in this document are based on current expectations and are considered “forward-looking statements”. Actual future results may prove to be different from expectations and any unforeseen risk or event may arise in the future. The opinions expressed are a reflection of UBS Asset Management’s judgment at the time this document is compiled and any obligation to update or alter forward-looking statements as a result of new information, future events, or otherwise is disclaimed. You are advised to exercise caution in relation to this document. The information in this document does not constitute advice and does not take into consideration your investment objectives, legal, financial or tax situation or particular needs in any other respect. Investors should be aware that past performance of investment is not necessarily indicative of future performance. Potential for profit is accompanied by possibility of loss. If you are in any doubt about any of the contents of this document, you should obtain independent professional advice. This document is provided by UBS Asset Management (Australia) Ltd, ABN 31 003 146 290 and AFS License No. 222605. The securities may not be offered or sold directly or indirectly in the People’s Republic of China (the “PRC”). Neither this document or information contained or incorporated by reference herein relating to the securities, which have not been and will not be submitted to or approved/verified by or registered with the China Securities Regulatory Commission (“CSRC”) or other relevant governmental authorities in the PRC pursuant to relevant laws and regulations, may be supplied to the public in the PRC or used in connection with any offer for the subscription or sale of the Securities in the PRC. The securities may only be offered or sold to the PRC investors that are authorized to engage in the purchase of Securities of the type being offered or sold. PRC investors are responsible for obtain-ing all relevant government regulatory approvals/licenses, verification and/or registrations themselves, including, but not limited to, any which may be required from the CSRC, the State Administration of Foreign Exchange and/or the China Banking Regulatory Commission, and complying with all relevant PRC regulations, including, but not limited to, all relevant foreign exchange regulations and/or foreign investment regulations. This document and its contents have not been reviewed by any regulatory authority in Hong Kong. No person may issue any invitation, advertise-ment or other document relating to the Interests whether in Hong Kong or elsewhere, which is directed at, or the contents of which are likely to be accessed or read by, the public in Hong Kong (except if permitted to do so under the securities laws of Hong Kong) other than with respect to the Interests which are or are intended to be disposed of only to persons outside Hong Kong or only to “professional investors” within the meaning of the Securities and Futures Ordinance (Cap. 571) and the Securities and Futures (Professional Investor) Rules made thereunder. This document is for informational purposes only and is not intended as an offer or a solicitation to buy or sell any specific financial products, or to provide any investment advisory/management services. The securities may not be offered, sold and delivered directly or indirectly, or offered or sold to any person for re-offering or resale, directly or indirectly, in Korea or to any resident of Korea except pursuant to the applicable laws and regulations of Korea, including the Capital Market and Financial Investment Business Act and the Foreign Exchange Transaction Law of Korea, the presidential decrees and regulations thereunder and any other applicable laws, regulations or rules of Korea. UBS Asset Management has not been registered with the Financial Services Commission of Korea for a public offering in Korea nor has it been registered with the Financial Services Commission for distribution to non-qualified investors in Korea. This document and its contents have not been reviewed by, delivered to or registered with any regulatory or other relevant authority in the Republic of China (R.O.C.). This document is for informational purposes and should not be construed as an offer or invitation to the public, direct or indirect, to buy or sell securities. This document is intended for limited distribution and only to the extent permitted under applicable laws in the Republic of China (R.O.C.). No representations are made with respect to the eligibility of any recipients of this document to acquire interests in securities under the laws of the Republic of China (R.O.C.). © UBS 2018. The key symbol and UBS are among the registered and unregistered trademarks of UBS. All rights reserved.